For teachers, creating a dynamic environment of joy with students can make all the difference. This is what Bobbi DePorter of the Quantum Learning Network realized after years of research. Teachers graduate university with a set of expectations and goals for the learning environment they’ll create. Yet when they get into the classroom, the real world is often different. It’s an academic tragedy. For example, the students just don’t engage and participate as visualized. Now, through the Quantum Learning Network, teachers are trained in how to create that positive environment of joy so students can love learning. Bobbi DePorter is president of Quantum Learning Network, which produces SuperCamp summer enrichment programs now with 78,000 graduates and programs in 19 countries; and Quantum Learning Education (QL), with programs for teachers, administrators, students and parents. QL has trained over 100,000 teachers and through these programs and the 8 Keys of Excellence movement, has impacted more than twenty million students over the last 30+ years for their children. Their programs teach unique learning and life skills to teenagers in a fun, dynamic way. I’m in a great mood. I’m in a happy mood. Where you are, it could be morning, it could be evening, could be dark. There could be palm trees in the background swaying, like it is here. It could be snow gently falling or any other number of things. I grew up in New York, so I’ve seen all the weather and I’m confident in my preference for sun and warmth, but that’s where I’m at in my life. Wherever you are at the moment, that much I know is true for you, for me and for all of us. I do feel great energy. I know it because I spent the day with great people. All that I had been doing, I would normally be tired. I’d expect to be tired. I expect that I would be normal, but I’m not. It’s primarily because I’ve gotten to spend time with great people, so there’s something there that’s take away for me and hopefully, it means something to you as well. Often our energy is a reflection of what we spend our time doing and being around great people and doing things that you love, these are energy enhancers. When we do things that we dread or that we don’t enjoy, we’re around people that like to spend their time complaining or thinking and talking negatively, then that brings about a whole different energy. I know that because I spent eighteen years in the practice of law and much of that time, 3:00 PM, 4:00 PM, 5:00PM, I need a shot of espresso. I need coffee, I needed chocolate, I need a fix to keep my eyes open. I was pretty shot and also didn’t have a whole heck of a lot of patience either. That is certainly not my mindset now. I am grateful that we get to spend this time together. I’m grateful for this breath, especially knowing that as I’m receiving this breath that you are also receiving a breath and therefore wherever you are, wherever we are, it may appear that we’re separate and yet we’re very much connected. If we follow the thread even further, I suppose it’s not too distant a thought or belief that we are one. I feel blessed to be in that space with you now and also to have this incredible guest, a lovely lady. This impeccable woman is a true class act. The word ‘class’ is not a word that is used that frequently these days. I don’t find that entering my space that often. It is a beautiful word. What it means is something that’s not so much in rare supply, but it’s less prevalent these days that you find people that are truly elegant and graceful as they navigate the disruption that is all around us. Political disruption, disruption in relationships, in business, in health, and many things. To do that elegantly shows great class. This lady will no doubt make an impression on you. Her name is Bobbi DePorter. She’s done some incredible work in the world, a really phenomenal history of service. 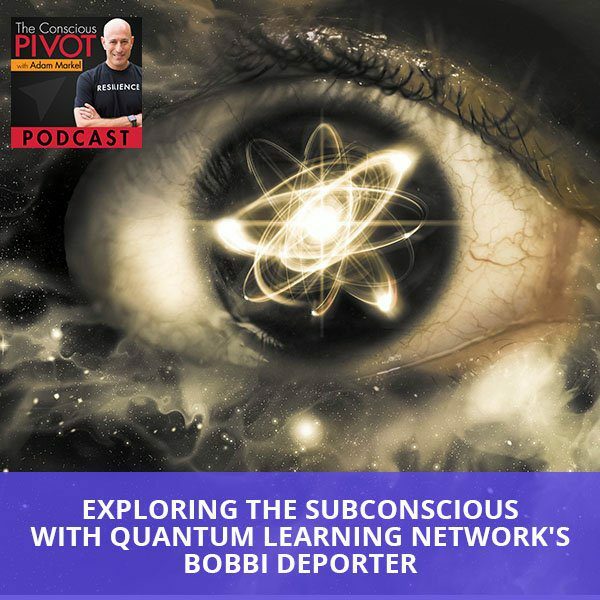 Bobbi DePorter is President of Quantum Learning Network producing SuperCamp, summer enrichment programs with 78,000 graduates and programs in nineteen countries. The Quantum Learning Education with programs for teachers, administrators, students, and parents is remarkable. Quantum Learning has trained more than 100,000 teachers, and through those programs also taught the eight keys of excellence, which is a movement that’s impacted more than twenty million students over the last 30 years. Bobbi, I know there’s a lot to say about your history, what you’ve been up to, and what you’ve been doing. I’ve come to know you because I’ve attended the CAYS, Community Alliance for Youth Success meetings that you do on a monthly basis and you do a yearly event, a weeklong event, which is remarkable here in New York. It’s near where I live in Oceanside. You do that work alongside Stedman Graham and others who’ve committed at a deep level to making a difference in kids’ lives and kids that may have more challenges than they need certainly in their early education. I would love to know, from your standpoint, what you’d love for our community to know about you. It’s a tough space. I remember that I was a teacher for two years. It’s funny to say that in the context of what your longevity in this space. Randi taught for eighteen years in elementary ed as well. Your level of commitment has to be deep to deal with a lot of the administrative challenges, the lack of funding, and even the public’s sometimes dismissal of how important educating kids is. Has that been a challenge for you? This is what we found, that teachers know what result they want. They picture it in their mind, especially when they’re out of university. They picture that classroom, their passion, and why they’re going into it for all the right reasons. They get in the classroom and we find many of them, they had this picture in their head and they’re not seeing that. The students aren’t engaging and they’re not participating the way they had it pictured in their head. Through our training, we’re teaching teachers how to create that positive environment of joy, how to connect with students and have them love learning, participate, and raise their hand because students aren’t doing much learning if they’re not participating. When teachers learn our skills, we hear it many times that they say, “That’s what I thought I was going to learn in university and didn’t.” That’s with the new teachers, and we’ve had teachers that were ready to retire and say, “I’m not going to retire now because I know how to get the result in the classroom.” When they learn that, there’s a lot of satisfaction when they’re in their classroom and they can engage kids and get the result they want. We’ve had teachers that have gone through the training and have gone back to their school and they shut the door and do their thin, not worry so much about the rest of the world. They’re in their classroom doing what they love to do in their classroom. Quantum Learning Network: We’re teaching teachers how to create that positive environment of joy, how to connect with students and have them love learning, participate, and raise their hand. One of my favorite stories is a teacher that took our training in Florida and her husband was transferred to Nashville, Tennessee. She started teaching in the third grade and it was in low economic and very challenging. The students were at the bottom at the state testing and they weren’t proficient in reading and there were a lot of challenges in the school. When she went into her classroom, shut the door and did her thing. These kids that were apathetic were all of a sudden engaged, learning and doing a lot. The two third-grade teachers next door came over and said, “What are you doing in there?” She taught them and then the three third-grade teachers were shutting their doors. One of my favorite quotes, the principal told me this sometime later, “I’m hearing all this noise and it looks a little chaotic.” She opened the door and stuck her head in the classroom and she said to the teacher, “Is there any learning going on in here?” because it didn’t look like your typical classroom. She became a fan and then it spread out from there. I always say we went statewide in Tennessee for quite a while. It was like one third-grade teacher making a difference and how it can spread and make a difference further. It’s an interesting backstory, at least for me; I hope it will be for you. 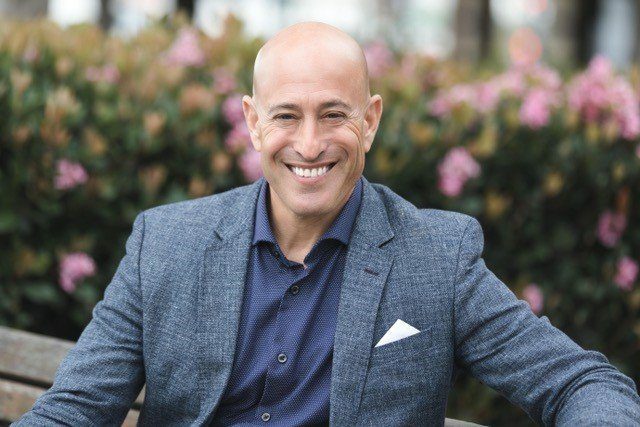 I was a lawyer for eighteen years and part of this pivot and this reinvention for me was to become a trader for a company and ultimately running that company. Part of the work it did was personal development and business development trainings. The technology, as I used to call it, was something we refer to as Accelerated Learning or Super Learning. It was based in the Socratic method, at least that was my experience of it. I came from the law background and I remember in law school, professors would constantly be asking questions. We couldn’t sit there passively. If you tried to sit there passively, you were toast. It wasn’t a pretty sight. What that meant was that we were actively engaged. We had to participate; we have to be involved. I remember as I started to do these trainings and as I trained for this company, I was hearing statistics about how the rate at which a person retains information, their ability to not only learn something but to remember what it is that they’ve learned, goes up by some high number, more than 80% or something when they’re involved and when they participate. They’re confronted in that space with questions where they have to answer and participate. I came to understand where the origins of that may have been at with Georgi Lozanov. Dr. Lozanov was one of your mentors, somebody that you had studied with. That place for me where it was life changing was to see that kids. I had been a teacher, as I said. Junior high school, hormones running crazy all over the place, and it was difficult to keep them in their seats and to keep them engaged. I was teaching English way back when and fast forward many years later, I’m teaching in a space of personal development and business trainings and I’ve got kids in the room. The rooms that I was training were adults of varying ages as well as kids. We’d have young kids, we have teenagers, and I never had any discipline issues with those kids. They were fully engaged, they answered questions, they were intelligent, and they spoke like adults even more articulate than many of the adults in that space. I attributed that to this process of learning this Super Learning or Accelerated Learning, which I want to defer to you on, this idea that people were participating and involved. There, I became a believer that for people to learn faster, remember more of what they learned, and have fun doing it, they should be engaged. It was such an important distinction and difference in the process of teaching and that’s what I got out of that. This is what your company does. This is what you’ve committed probably more than 40 years at this point doing. Would you share some of that backstory on your mentor and what it is that you do in the classroom and what you train teachers to do? By the example of that third-grade teacher, how it is that those teachers are changing the whole process of education? I love what you said about that was a pivotal moment and inspiration of what you’re doing and how important that was because that’s what it was for me. It was in the late ‘70s when I heard of Dr. Georgi Lozanov and heard about his work. I was working with the adults at the time, heard of them, and brought them to the US. You can imagine in the late ‘70s, it was Communist behind the Iron Curtain country at that time and going through a lot of negotiation. He came to the US, we brought him, and he was in my home for three weeks. We all had a different name and story behind us that we made up. He’s Bulgarian? Did he speak English? Yes, he did. He came with a bodyguard too and it wasn’t so much for his protection. It was that the bodyguard made sure he came back to Bulgaria. They tattooed him as a flight risk and did a lot of in-trade to get him. There he was in my home with a bodyguard for three weeks teaching us Accelerated Learning. He also came with his lead teacher who was an opera singer. He had been doing experiments in Bulgaria. He was a psychiatrist and a medical doctor and he got curious about people and healing. In one wing of the hospital, people were healing much faster. He started to notice what was going on. It was more positive. You could feel more joy, walls were colored in soft colors, there were plants, there were music playing, the expectations were high. These are the things that he noticed. He wanted to experiment in teaching and learning. He took a group of people and was teaching them a foreign language. The way he did that, it’s easy to measure. People either know it or don’t know it and it’s easy to measure progress. That’s what he did and he found that with his methods that he was creating that they were learning a thousand words a day, high comprehension, and enjoying it. The stress goes down. This was written up and I did hear about this and that’s why we contacted him and went through this whole process to bring him to the US. When he was in my home, he taught us Italian. It wasn’t to learn Italian, it was so he could demonstrate the methods that he had. My auditory is low and my visual and kinesthetic are high that all the way through high school, I had stress going to language class. I was mostly a straight A student and I could hardly pass Spanish. It was like, “He’s coming and going to try to teach us Italian.” My beliefs, I was thinking, “I’ll never going to get this.” He sets context. It’s credibility. It’s playfulness. We all had a different name and story behind us that we made up. You can imagine my home. There’s so much that goes into an accelerated learning environment. I set up an accelerated learning environment in my home for Dr. Lozanov himself. Think about it. It’s like paying attention to details. Yes, we did. I’m imagining it would be like setting up a kindergarten room, the way you’d want five-year-olds to be so stimulated. Visual, auditory, kinesthetic, all this stimulus that you’re setting up. We took everything out to start over and made sure there was light coming in and then we bought special chairs. It was about the angle of the chairs and we had affirmations, things up on the wall, all of that going on and lots of music that he orchestrated. I was a couple of days into it and I’m thinking, “I’m hearing, but I’m not getting much.” I always remembered this because it was profound for me. He had a beach ball and he was tossing it around and such. He, all of a sudden, looked at me and asked me a question in Italian and threw the ball at me and the answer came out. It was like, “Where the heck did that come from?” It’s like the subconscious. He calls his work Suggestology, meaning that everything makes a suggestion. Accelerated learning is a term that came from others here in the US and such. That is a term for his work. He’s considered the Founder of Accelerated Learning. That’s where it came from. When I look back now, I didn’t know the significance of the time when he was there with me. When I look back it’s like, “Would I have paid more attention?” We took his methods and applied it to the adults we were working with and adults were saying, “Learning was never like this for us. School was not like this.” We had accountants attending the program, CPA’s who said, “I never experienced accounting this way. Now it’s an experiential experience when I’m learning.” That’s where I started applying and the adults were saying, “We’re having much fun learning, we need to do something for our kids.” That was 1982 where I started the first SuperCamp. SuperCamp happens during the summer? It happens during the summer in the US, but we’re in nineteen countries now so we have programs going on all year round because they have different vacations and we work with some schools in other countries. Our very first international program is interesting. It was 1990, and our very first one we went to was Moscow, which was still the Soviet Union, and Singapore. I keep thinking, “Why don’t we go to Canada,” or someplace. Looking at the cultures and we thought, “This is going to be different. Will it apply in these other cultures?” We found students just jumped in. They participated at high levels, particularly in Moscow at that time. We had many teachers in the back watching and at that time, there was a lot of suppression. You weren’t supposed to stand out over somebody else. To have the students participate in the program, talk about what they learned and how they’re going to apply it, what are their dreams and what they’re going to do in the world, I watched the emotion from the adults in the room that were moved by these students finding their voice, expressing themselves, what they want to be, learning, and exciting about what they could do. That was moving. I assumed that you had some trainers that were fluent in Russian that we’re able to use the Suggestology and this accelerated process. We brought over our trainers and then we had Soviet teachers and we did have translation going on. It was going on so fast that after a couple of days, you forgot about it. Even work, this is magical to hear this. It worked even with simultaneous translation. Yes, a lot of the students did have some English. They went to a school that taught English. To really get the understanding, a lot of things need to be interpreted. I would like to circle back to where you explained that Suggestology is this concept that everything makes a suggestion. Would you say a little bit more about that? As Dr. Lozanov said, and I feel this is such a profound statement, “When you come from the mindset, there is no neutral.” Think about that. Everything you say and do has an impact that is negative or positive and the responsibility of that when you think that way. If you think it doesn’t matter or it doesn’t make a difference, it does. It’s either negative or positive. There is no neutral. That’s what he taught us to do. When we set up our environments, we’d set up everything we think we could do and then we’d say, “What else can we do?” We do everything we could do and then say, “What else could we do?” You take it higher and higher. It was always a plus one, what we could do to make it make it better. On a break, a couple of chairs are crooked or there’s paper on the floor, “It doesn’t matter.” No, it matters. It’s that beautiful and impeccable environment that everything is making a suggestion. It’s coming into the subconscious that we learn things on the subconscious as well as the conscious level. He used paraconsious, because we’re obviously not unconscious, it’s subconscious or paraconscious. Quantum Learning Network: It’s coming into the subconscious that we learn things on the subconscious as well as the conscious level. This informs a lot of your work clearly, that you pivoted. It sounds like that was a pivotal moment for you, big time. I know it was for me. Definitely the direction of my life because my work, my life, it all comes together. You get to see the people light up. That was my experience of it, and it is to this day that when you use this process, the people light up. They light up in ways you can’t even imagine, so it almost creates miracle space, a sacred space for sure, but there are also miracles that show up. It would be great. One of the biggest disappointments of my own childhood was the fact that I wasn’t fully engaged or nearly fully engaged in school. I still have recollections of teachers reading the newspaper or teaching with their back to us the entire time, just memorization things and little engagement. Feels like there’s a lot of damage that’s done out there. I sat in classes where I wasn’t getting it or not interested then I take it as it’s all me. We teach students to take 100% responsibility for their learning and we also teach teachers to take 100% responsibility for their teaching and it works well when everyone’s taking 100% responsibility. One of the things we say if the students aren’t learning, the teacher is not teaching. There is this difficulty in the education when the paradigm hasn’t changed across the board, where they’re still teaching teachers in a similar way. I know cooperative learning is much more prevalent today and things have moved in the right direction and yet still teachers aren’t equipped for the most part with this understanding. It’s not much time spent on just how do you engaged in? How do you connect them to the content, make associations, and get them excited about learning? It’s harder work for one thing. It takes more work in the beginning. Some teachers come to our training and they get a lot of strategies, but it’s not about the strategies. It’s understanding the system and how to orchestrate your classroom to get a result. You have a tool belt with lots of strategies, but you need to know why for each strategy and use it for the right purpose on purpose at the right time to get a result. It is teaching them about masterful orchestration of their classroom and it’s all both focused on your desired outcome and getting that desired outcome. How big a role does context play? If you could define what context is in that context? It’s so important to set a context, which is your structure, shell, or container about what you’re doing. When we teach our program, we have two sides and we look at how much time you’re spending in each. One is culture and the other is cognition. At the beginning of a program, the beginning of a school year or beginning of a business program, it’s important to engage and set the context so you spend a lot on culture. We have teachers that can spend the first three weeks on culture and other teachers saying, “How can you do that when you have much content to deliver?” We find the ones that set a strong culture, context, and foundation to their classroom; they’ll get through the semester faster with the content than the teachers that didn’t spend that time. It is absolutely key to having successful learning. Also on the cognition side is that we do spend time on what we call a teaching cycle, that we don’t expect the students to, all of a sudden, show up excited to learn. We set the frame for them of the why, what’s in it for them, the engaging questions to get them thinking. We then create an experience about something they already know because we learn by connecting to something that we already know. Kids come from all different experiences and what they know. When you create a common experience, then you can tap new learning into it. It makes a big difference. It is the culture, cognition, and orchestrating it all. It’s not that the data doesn’t matter. It is something that has been set because it’s important that you have content as well but it’s a bit like building a house on sand. If you don’t start with a foundation, you don’t spend enough time and effort in creating a strong foundation, whatever you build on it may not last and be sustainable anyways. You mentioned culture, and this has triggered something for me. Culture is mostly used these days in a business context and I know you are a very savvy businesswoman and been running successful businesses for a long time. How does culture and context match up in the business arena? The culture to me is that the context and the culture are interchangeable. Part of the culture here are strong believers and strong vision, mission statements. We know our beliefs and our shared values. My husband, Joe and I, we wrote a vision statement over almost 40 years ago and it drives us as strong today as then. I believe that we’re here all these years later doing it and following that same vision because we were clear on it in the beginning. That is definitely directing us. When anybody joins our company, they could have their backstory, their history, their skills, their talents, whatever they are bringing. The first thing I do when they sit down is I talk about our vision and watch their face, their reaction, and how they’re talking back to me. We only want people that are working here that share our vision because we hire more for who they are. Yes, it’s important that they have the skills. The first part is the culture and the context of what they’ll be working in. Context is the essence, it’s the substance in some ways. Would you share the vision with us? “To be an international model of excellence, facilitating a shift and learning resulting in creative, educated, and responsible people participating in a global community.” I say it’s our way of changing the world because we work with people to shift how they learn and then through that, they become more creative, educated, responsible, and that they participate in the global community to change the world. The big vision. It is absolutely key to having successful learning. It is and the statistics don’t lie. You’ve made a lot of headway there, teaching teachers. There are many teachers that are not aware of this methodology and these tools. If you’re in the classroom you don’t have as many resources as you could have. It’s a waste on some level. I don’t think there’s anything worse than waste, the opportunity of those teachers could be accessing information and tools that would help them to connect at a deeper level and engage their students, get those students to be more involved in and get more out of the education process. If you could share a little bit about how is it that your company is now reaching more teachers. Is it the colleges that are teaching programs to teachers, to folks that are getting education degrees? Is that the front line in the schools themselves? We think we should be teaching universities, that’s where teachers want to learn what we’re learning and they think they should have learned it in there. We did do a full semester class at George Mason University Graduate School of Education, but it’s hard when they have so much mandated content and things that they’re doing to get into the universities. We teach in school districts and schools directly, the professional development that we provide. I love how we got in there. We started with SuperCamp, our youth program, our Learning Life Skill program. Early on these students were going to SuperCamp and of course they start school in the fall. Then we started to get teachers and administrators asking these students saying, “What happened to you over the summer?” because they were so changed. That is literally how we started working with schools, is that they were noticing students coming back, asking them what happened to them, and then contacting us and saying, “Would you come in and teach our teachers now? We’re much more formalized,” but that’s how we began into the schools. There’s a grassroots component of this, which is that you’re working with and training students themselves at SuperCamp. These children and young adults are getting access to this directly. Then we teach the life skills. We have our Eight Keys of Excellence character program and they learn how to find their voice and speak out. How many students feel they’re not good enough, “I don’t know what my opinion is,” and they stay quiet versus, “I know who I am, I know what makes up my core, I know what I stand for and I have the courage to speak.” Students will stand different, they’ll stand taller, and their shoulders are down. Their look on their face is different and I see that transformation happening with the students that come out. We’ve been doing it for so long that we have parents that attended SuperCamp themselves and they’re now sending their children. We do it on university campuses in the US and then we’re in nineteen countries doing it. We do it in other languages as well. I can’t think of anything that’s more important today than for us to model for young people how to learn and apply what we learn. A constant in the universe is change. It seems like it’s a contradiction, but things are changing and the pace of change and the pace of disruption is that much greater seemingly every day. To be able to not only adapt to change but also to be able to utilize change, to be able to not to waste the opportunity that’s there in that moment has a lot to do with how we learn, how readily and quickly we can take in new information, assimilate it, and connect dots to be able to see how it applies in our lives and also the bigger picture and the lives of others around us. To see opportunity and then have the confidence in yourself and knowing who you are to say yes to opportunity or make opportunity happen or take action. There is really a shift in students. When they go through the program and get more discovery about who they are and what they’re about, that’s where you start seeing it on the outside. The SuperCamp is designed for kids. Is there something that you do that you’re set up to help adults? Our community are adults that are pivoting in some way, transitioning in their lives, and they’re typically between 35 to 55. It’s the age range on average. We have lots of younger folks and folks that are older than 55. For adults, what do you offer to help them to learn this way? We have done programs for adults. It’s usually the parents of students that attended SuperCamp. It’s what encouraged them to bring us in. I’ve written several books. One of them is called Quantum Success. It includes my story. Quantum Success is about fulfillment and who you are as a person, as an adult, and going through discovery. I do tell my story when I was a youth, being shy, not feeling good enough myself, what was it like in transitions, and what it was to find that there was something inside of me that I wanted more in that path of finding what is your purpose yourself and what you’re doing and that sense of fulfillment. For most people, they get fulfilled when they’re in service of others. I always say, “This is selfish of me to serve and make a difference for others,” because ultimately, I do it because I feel good inside. I feel passionate and joyous about doing the work and seeing shifts. It’s what I’m about. Anyone in the audience either has children or knows somebody who has children. This is a blessing to be able to share that with folks. Looking at benchmarks of what I was going to have to produce, it was almost in an intimidating way of, “You’re not going to be here unless you produce these kinds of results.” I had a certain commission amount I had to make. As it turns out on my first day on the job, I made a deal that was worth the annual commission. I made it on my first day, not the first year. Going through that, and I made millions in a couple of years, it was heyday. It was real estate and investments and we were renovating Victorians in San Francisco. It was a lot going on at that time. I made a lot. I talked about the business school and the good work we’re doing. It was like, “Here’s a way to make money.” It was in stock options, but something I didn’t know about and got involved in. We’re making a return and putting all the money. We were making back into the good work we were doing, but then it crashed quickly. It was a three-week period. I lost all my possessions, from buildings to my personal home, everything. Things were sold off. It was a devastating time. I always think about when watching things, I said, “I’ll be okay if I can just keep this,” and it would go away or, “I’d be okay if I could just keep this,” and it would go away. I really was left with just my car and that was about it. It seemed like everything was taken away. One of the things I did was I stayed with a friend for a couple of months who had a little apartment and it was up on a hill in Los Angeles with a view. I was there by myself in a lot of pain. I felt all my friends disappeared and all these things happening. That was my biggest learning, the biggest failures and the biggest learning. To get at such a deep level that nobody could take away who I am, I got it. It’s such a deep level. My values, my talents, what I want to do in the world, it’s impossible unless I let somebody change my beliefs about who I am and what I’m about. Carrying that forward, some people say, “You must be afraid of risk now because you know you can lose everything.” I feel like, “No, I feel stronger knowing that nobody can take away me.” You don’t get that until something strong or something happens that there’s a shift. When I talk about pivotal moments for myself, it was that moment of knowing who I am and what I want to do in the world and then keeping my commitment, my focus, my next steps, and knowing who I am in the world. What I want to do, what I want to create are in such alignment and I’m going forward with that. I still carry that. No one can take away who I am. “Nothing that’s real is ever threatened,” I heard that many years ago. It was interesting and more than interesting, it brings peace. There’s this peace when you realize that there’s a part of yourself that can never be taken. It’s a question of whether you have access to it and how often you live with that, where you’re accessing it. I had a beautiful conversation with Allan Cone, we had a podcast. He didn’t say, “I’m done with self-development,” he said, “My transition, my more recent pivot is away from self-development towards self-acceptance.” That’s been more of a life journey, it’s towards self-acceptance and how it is important that at the same time that we’re striving, wanting things have these goals and achievements we’re looking to create. We also let go, that there’s this simultaneous talk about a paradox of sorts or one of these interesting things in the universe we’re reaching that were also at the same time letting go. There’s a whole of life is a process of letting go in the end, isn’t it? I’ve heard Allan and one of the things that I heard was that you talked about thinking about what you were criticized for as a child. That hit home for me because I was shy and felt like I didn’t have the courage to speak my voice or what I think. It felt like I was listening to others or sitting quiet while others spoke and not feeling good enough, and that there were other experts. Somebody else always knew more than me. Doing the work now, I’m just so passionate when I see youth, helping them discover who they are and define what they stand for and who they are and how they want to express it. What do they think? To see them do that, I know that their lives will be changed forever when they discover that, so wanting them to discover that early on. No one can take away who I am. I’d love to hear about the Community Alliance for Youth Success, CAYS, and the work it’s doing because part of it is that you’re creating a prototype of sorts that can be duplicated elsewhere in the US and outside of the Us. Would you share a little bit about that? Community Alliance for Youth Success is a program that I co-created with Stedman Graham. I’ve known him for decades and he’s always been involved with youth. We always talked about doing something together and then five years ago, we said, “Instead of us doing something together because we haven’t gotten anything off the ground, why don’t we do something with the community?” We had our first meeting where we invited the community and that first meeting we had probably three mayors, we had several school superintendents, so we had a lot of the leadership, the CEO of the Chamber of Commerce, we had Richard Dreyfuss showed up, he’s vocal. We had many people in the room and it was interesting because people looked around and said, “How did you get us here? We’d never get together.” It was because it was around youth success. People want to be involved. Businesses say, “I’m busy in my business. Yes, the youth are important, but I don’t know how or how specifically I could support.” We’ve been meeting for five years and looking at different activities we can do to support youth and it galvanizes the community to come together. People come out of the woodwork and are talking to each other. The adults are finding that they know more about each other’s programs and they can support each other more. It creates an awareness and activity in the community and people keep showing up because they want to spend time with each other and hearing about that. These are all busy people as we all are. With the message that it sends for youth, the communities come in together to support you, so that changes the mindset. We do a week that we call Youth Success Week once a year. Everybody that’s involved volunteers their time, it’s 100% volunteer. We have people that get big fees and speak around the world and they just come in and give their time for a week to these youth and go right into the schools. We partner with a school district so that we’re right in their classrooms or we have assemblies. We do a festival at the end that we hold in a big theater and we have students perform. We have students talking about their successes and little TED-style Talks and videos that they do and perform. It’s a lot of interaction. We are creating and writing it up as a national model to take to other communities. I have enjoyed it and listened to Stedman talk about identity with the students and how much they got out of that. My dear friend, Steve Farber, also donates his time and his energy to that cause, and Morsy Morrisson, so many people that you’ve got that are part of it and it’s remarkable. I’d love to know what rituals you have, a ritual that keeps you in that place where you are enjoying life and you’re present with what’s going on in the midst of all the doings. One is a reminder because when I drive, I get into a state too often of, “Not enough time,” rushing around and there’s so much to do. When I’m going from point A to point B, I used to get irritated at red lights, I speed up a little bit so I can get through the signal because I don’t like waiting. I switched that around. When I have a red light, it’s like, “Good, a red light.” It’s my trigger, a reminder that I sit, breathe and think beautiful thoughts and be grateful for things. I use the red lights as my time to create, a time when I can breathe and re-center myself. That’s one of them. This is like we create a Zen practice at stoplights. The other one I deal with more because it’s related. It’s in the car. I do a lot in the car, but when I leave the house before I get to the office, it’s only a ten-minute drive for me, I do check to see, “What is my attitude? Am I tired? Am I happy? Where am I?” Before I put my hand on the door knob to get into our building, that’s my check, I stop with the door knob and check into myself. Sometimes I have to do an adjustment. I have been known to sing between the home and the office in the car. Sometimes it’s purposeful, happy song so that I’m changing the state if I feel a little tired or not as focused as I want. It’s a recalibration of sorts. I believe with Dr. Lozanov, that state changes, that managing our states and being aware of our states is a part of that. Being responsible for our state. It’s absolutely a choice, so we can take responsibility of it. That’s what I feel like between the home and the office. It is my responsibility to walk into this office with joy, with connection, and with relationship. A big one for me is relationships, internal or external. There was a time when I think, “We have to get down to our real business. We have much work to do. Let’s take a week. We’re going to do everything on relationships. We’ll do paired shares, we’ll do affinity processes, we’ll do all this and we’ll get in really good relationship. Then we’ll go back to do our real work and all this work we have to do,” and it doesn’t work that way. Quantum Learning Network: I use the red lights as my time to create, a time when I can breathe and re-center myself. It’s like, “What are you doing when you come back?” I know that our relationship needs to be a continual process. This has been going on for decades. At 10:00 AM in this office, we have music go on in the building. Everyone gets up from their desk and stands in a circle, every single day at 10:00 AM. It starts with burning shares. Instead of somebody having something at home, their child was in the fire last night, whatever. Sometimes they go around and talk to everybody individually or it takes time or whatever. It doesn’t share, and now it’s at 10:00 AM every day everybody is together. Everybody gets to acknowledge each other and share what they want to share. It’s also a time for FYI because often, “I know the information, no one needs to know it.” We hold it close to us. No. What’s happening? “Somebody is coming in this afternoon. This training’s tomorrow. We have reports from the field. Where our facilitators in the world, where are they?” We know but when the whole office knows, it creates a better relationship and we stay tighter together. There’s more transparency. I’m glad you shared that every day at 10:00 AM the music comes on, you gathered in a circle, and they’re burning shares. There are things that you want to be able to say or want to be seen in that moment. What a beautiful and empowering opportunity. Bobbi DePorter, thank you so much for being on our podcast. I’ve thoroughly enjoyed everything you’ve shared. I know everybody has gotten much out of it and I want to thank you. You’re very welcome. It’s nice to be here with you. This is our beginning and the context that we set for this program, first of all by thanking you for being here and showing up, wherever you are right now. You could be in the car and consuming this. I know if you are in the car listening, you’re saying, “Does it have to end? I’ve got more road ahead.” Some of these podcasts are going on two and three and four hours. It could take a take you on your entire journey. All things shall pass and that’s a wonderful thing. This is not the end of anything, it’s the beginning. We will conclude this piece of it as we began with gratitude. I am grateful for you. I’m grateful for Bobbi. I’m grateful for the space that we’ve created as well as all the amazing things that are happening in the world. I know we hear much about what is wrong and what’s negative and the conflict that seems to be around, and yet there’s a creative opportunity in all of it. It’s for us, it is our personal responsibility to see that and to be able to access what is working and what is right in the world and be able to put it together in some way in a bigger context and a bigger picture so that we are manifesting more peace, more joy, and more love by our very being. It’s my personal opinion and it’s the philosophy of our company that as we create that for ourselves, as we create peace, it becomes our offering. It starts with us; our self-love becomes love that we can share in the world and our peace that we receive becomes the peace that we offer. It won’t be long when enough of us are even selfishly working on creating our inner peace and working to actualize ourselves, that our world gets to a tipping point where there’s more people interested in their peace than not, and then some light goes off. I suppose it’s the northern lights and we realize we’re living in a peaceful place. I certainly see that happening soon. As we breathe now, I want to wish for you. I get to do this and it’s a joy for me to wave the magic wand and my wish is that you will wake up tomorrow, that you Bobbi, that you will wake up, that I will wake up. All of you will wake up. That means physically, but also mentally, emotionally, and spiritually even. We will be a bit more conscious tomorrow than we are today even. That means we’re on a good trajectory. As Bobbi shared her practices, some of them which is so beautiful, I’ll share my practice. When we do wake up tomorrow and we take that first breath, that first conscious breath that we realize in that moment that there are people who will be taking their very last breath in that moment. Also babies being born are taking their first breath. It is a sacred moment; it is even holy. In that moment, that sacred moment, there’s something to be grateful for. We wake up and we have something to be grateful for right out of the gate. What a beautiful seed to plant in the garden of our minds in that moment. How grateful we are. If you’re inclined to stand up, say these words out loud, declare them from your bed or on your way to the bathroom, so be it. The words are, “I love my life. I love my life. I love my life.” I wish you all a beautiful and a blessed evening, morning, wherever you are. Remember that your reviews of this podcast are important to us, so if you could review on iTunes the podcast, that would be fantastic. Please do leave the review of course. Our community on Facebook is growing and it’s magnificent how vulnerable, authentic people are being in this space. If you’d like to join the community, you can find us on Facebook at Start My Pivot community and you can get there, the shortcut to that is PivotFB.com and join the community there. Wishing you all so many blessings. Ciao for now. We’ll see you soon. Bobbi DePorter is president of Quantum Learning Network producing SuperCamp summer enrichment programs now with 78,000 graduates and programs in 19 countries; and Quantum Learning Education, with programs for teachers, administrators, students and parents. QL has trained over 100,000 teachers and through these programs and the 8 Keys of Excellence movement, has impacted more than twenty million students over the last 30+ years. It all began when Bobbi studied with the renowned Bulgarian researcher Dr. Georgi Lozanov and implemented his methods into a humanistic business program which she cofounded called the Burklyn Business School. Students experienced learning as joyful and meaningful – not as they had experienced learning previously – and they wanted a similar experience for their children. This led to SuperCamp, teaching unique learning and life skills to teenagers in a fun, dynamic way. Along with Stedman Graham, Bobbi is the co-founder of CAYS Community Alliance for Youth Success. She is the author of over a dozen books including recently released Excellence in Teaching and Learning: The Quantum Learning System. Bobbi is the recipient of the San Diego Women of Influence Lifetime Legacy award, the Global Presence Humanitarian Award from Parenting 2.0; and was on Fast Company Magazines Fast 50 list of leading creative thinkers.